Cryptocurrency and Bitcoin have dominated tech headlines for years, but what about its supporting technology? I’m referring to Blockchain – where all crypto transactions take place. But what exactly is this technology? What does it do? 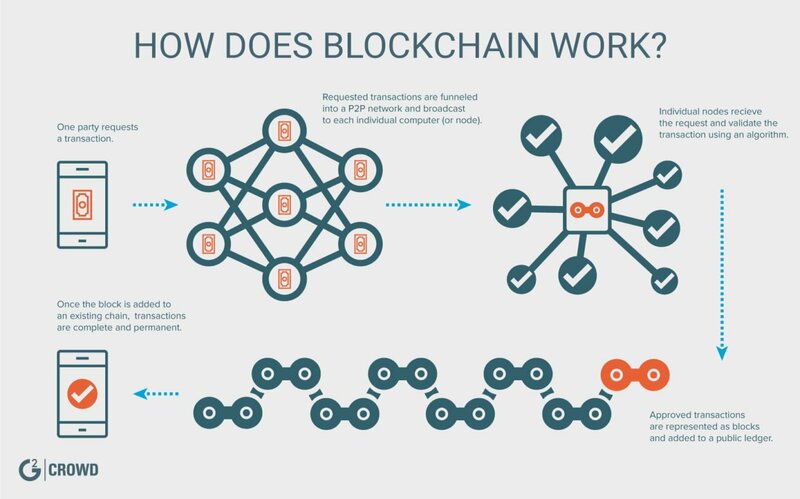 Blockchain is a decentralized public ledger where crypto transactions are recorded. This ledger is maintained across a network of peer-to-peer linked computers. Let's dive deeper into blockchain, its importance, and why more enterprises are turning to this technology. Blockchain is an important technology because it fills the need for an efficient, reliable, and secure system for transactions. In our increasingly technology-dependent world, larger transactions occur over digital networks. These trades, of course, are always susceptible to cyber-crime, since transactions tend to take a long time to be completed. This is mainly due to the necessity of an intermediary that must confirm the transaction. This is where blockchain thrives. Blockchain is distributed, decentralized, and peer-to-peer monitored. Every transactions is immutable, meaning it cannot be reversed or tampered with. Transactions are nearly-immediate (depending on the cryptocurrency), and will always be recorded on the blockchain; but the identities of senders and receivers are virtually masked (with fundamental security practices). Simply put, this technology allows two parties to partake in secure digital transactions without a third party. A blockchain is a ledger that will record these transactions in a completely encrypted fashion, as to protect participants from cybercriminals. When a transaction is recorded in the blockchain’s publicly shared ledger, it is theoretically tamper-proof. A transaction can also be recorded quicker than ever before because there is no third party needed to verify it. The transactions are interdependent. Each transaction and independent nodes verify the previous transaction, preventing fraudulent requests from altering the blockchain or completing its process. Taking out the middleman in this process can save businesses money as well. Now, let's get into some of the most common applications of blockchain today. Blockchain can be used in a number of different kind of transactions, the most common of which is Bitcoin. For those unaware, Bitcoin is a ‘peer-to-peer electronic cash system,’ according to the core white paper on the Bitcoin homepage. Owners choose a preferred ‘wallet’ in the form of an installed software or a third-party-hosted web platform, and this tool serves to store, receive and send currency to others in the form of unique, coded addresses. Transactions are performed within encrypted ‘blocks’ on the internet, and new blocks are constantly generated to meet the growing need. Bitcoin transactions are recorded and time-stamped in a blockchain, which act as shared ledgers for these translation. Some people mistakenly believe that blockchain and Bitcoin are the same thing, but blockchain is like an operating system that allows Bitcoin transactions to take place. While Bitcoin may have been the first use of blockchain, there are so many more uses for this piece of technology. Tip: Bitcoin isn't the only prominent cryptocurrency. Check out how Ethereum and its smart contract technology are revolutionizing blockchain. One of the most important things about blockchain is the encryption it offers for digital transactions. An industry like healthcare, which requires extreme privacy with its records, can greatly benefit from this added level of security. Blockchain would help to verify prescriptions and the supply management of pharmaceuticals. Blockchain can completely change our understanding of voting. Integrating blockchain into our voting process means that we’d be hearing a lot less about voter fraud accusations. Here's how. When a vote is recorded in the blockchain, it cannot be deleted or changed without evidence of tampering. Each of these entries would have its own unique lock and key attached to it, which could be used to authenticate a voter’s identity. That means that foul play would be virtually impossible. With the introduction of music streaming, ownership rights and royalty distribution have become prominent issues in the music industry. Blockchain can help to create a thorough and accurate decentralized database of music rights. This ledger would provide transparent transmission of artist royalties. Musicians would be paid with digital currency according to the specified terms of the contract. As it turns out, the internet of things (IoT) and blockchain are a match made in heaven. IoT is the term for embedding internet in everyday devices like watches, televisions, phones, and more. By doing so, IoT devices are then capable of sending and receiving data. IoT devices are slowly infiltrating our homes under the pseudonym of smart appliances; presenting new security risks. Blockchain systems can add an extra level of security to these appliances. Let’s say, for instance, you have a smart washing machine. It could send a text straight to your phone, notifying you that your current load of laundry is done. Think of the benefits of a device like this. You can control appliances from home, saving yourself a lofty energy bill. Blockchain allow that remote ownership to stay secure. The examples used above are just a few of the many industries that can benefit from the use of blockchain technology. Undoubtedly, early-adopters of blockchain will pave the way for future successes in decentralization and cybersecurity. Interested in building an app upon blockchain technology? Check out the best blockchain platforms software of 2019. 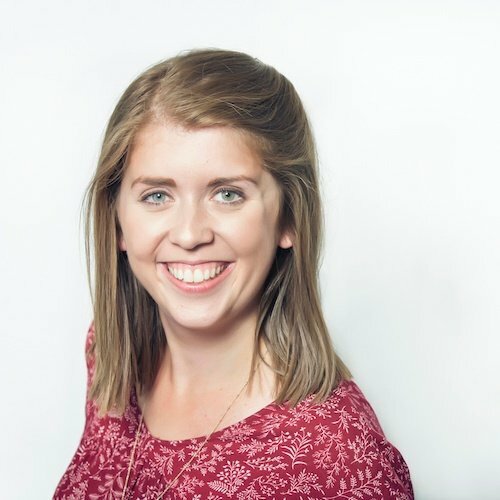 Brynne is the Buyer Inquiry Team Lead at G2 Crowd. In addition to writing, she leads the research specialists in providing personalized software and services recommendations to buyers. She wishes she had interesting hobbies to include in this bio.